Skateboarding was created by 1940s surfers in California who needed something to do when the waves were flat. 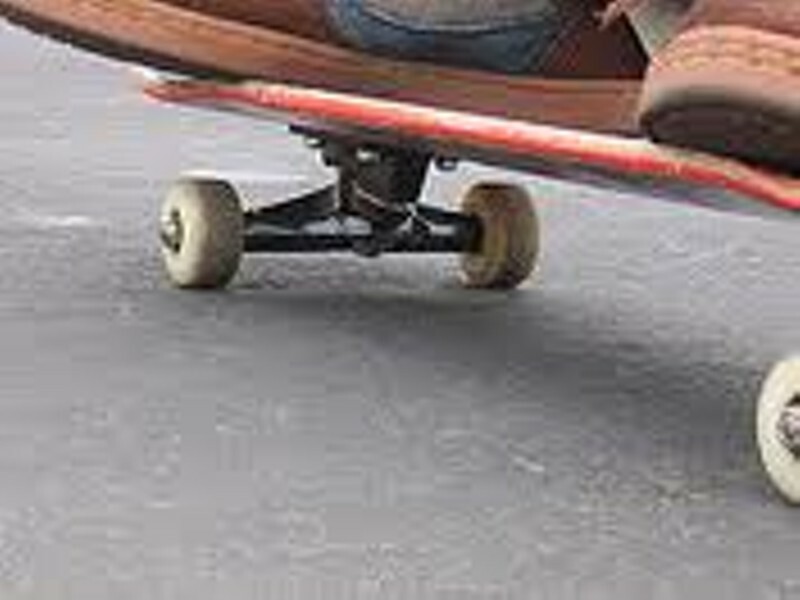 The first boards were literally wooden crates mounted atop roller skate wheels, a wobbly sight that probably inspired the first parental angst. In the mid-1970s, when a drought hit Central California, skaters took to the empty swimming pools and invented vertical skating. They learned to drop into the sheer vertical surfaces, navigate the deep end's undulating curves, grind on concrete edges, and grab air above the big blue bowl. As gnarly as that might sound, what happened next made backyard swimming pools look like child's play. Many of the skateboarding parks that had begun to spring up were forced to close due to liability concerns. Undaunted and in love with the freedom of the sport, skaters took to the streets and invented an entirely new movement called freestyle. They kickflipped over steps, slid down rails, and soared off of curbs on city streets. The reaction from public officials to the epidemic of urban skateboarding was swift and fierce — many cities, including Cleveland, banned it outright, and most cracked down on skating in public places. Skateboarding became associated with young, property-trashing punks. As a young skater, Vince Frantz made frequent trips to downtown Cleveland to skate on Public Square — at least until cops started kicking him out. "Public Square was the iconic meeting place for skateboarders in Cleveland. In the '80s, you had to go talk to another skater if you saw them." The 1990s saw the destigmatization of the pastime, thanks to a generation of skaters who actually survived to see adulthood and the commercialization of skateboarding with the X Games. Public officials began to realize that skate parks would actually help keep skaters off of public property, and parents and teens became savvier about getting parks in their towns. But if skateboarders were no longer getting bottles thrown at them by the local jock brigade — a phenomenon common in the 1980s, Frantz says — skaters in Cleveland were still getting kicked out of public places and harassed. Moreover, the city offered no public skate park option. When Frantz moved to Lakewood from Toledo in 2000, he decided he wanted to help organize a push for a well-designed public skate park in his new city. What started as a grassroots effort soon became something more. "We came together because we all wanted a skate park in Lakewood, yet we knew we had to go beyond Lakewood skaters and do something visibly regional," says Frantz.